Hiring process is a set of actions taken by an organization for attracting, selecting and appointing suitable candidates for jobs. Managers and recruitment specialists actively apply various technics, methods, models and also modern computer technologies for effective planning and realization hiring process. ConceptDraw DIAGRAM diagramming and vector drawing software aspires to help its users in the hiring process and offers a powerful HR Flowcharts Solution from the Management Area of ConceptDraw Solution Park. which will help you quick and easy design various materials illustrating hiring process and methods which can improve the hiring process effectiveness. 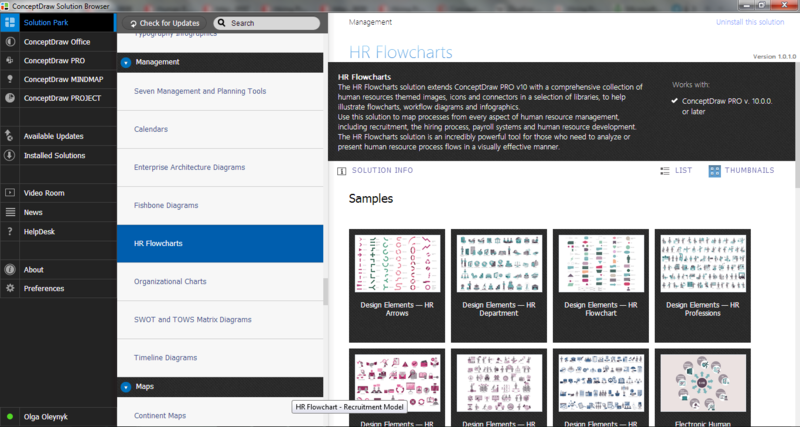 HR Flowcharts solution contains also a set of different examples and samples. All they are available from ConceptDraw STORE, you can open any of them and use as is, or change something as needed. 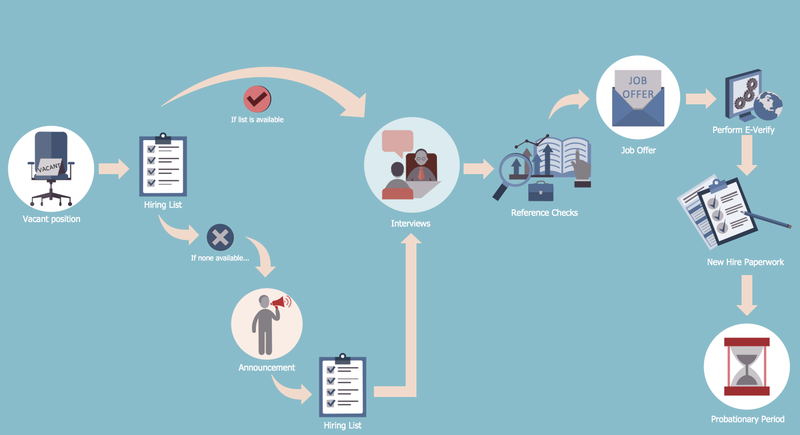 This HR Flowchart sample was created in ConceptDraw DIAGRAM using the extensive drawing tools of the HR Flowcharts Solution and visually shows hiring process on the HR Flowchart. An experienced user spent 10 minutes creating this sample. Use the HR Flowcharts Solution for ConceptDraw DIAGRAM software for effective hiring process and for quick and easy creating professional looking HR Flowcharts. The employees hiring process has a critical value for the business success. It is important and complex process which requires great efforts and compliance a set of necessary hiring process steps which will allow you to increase hiring efficiency. 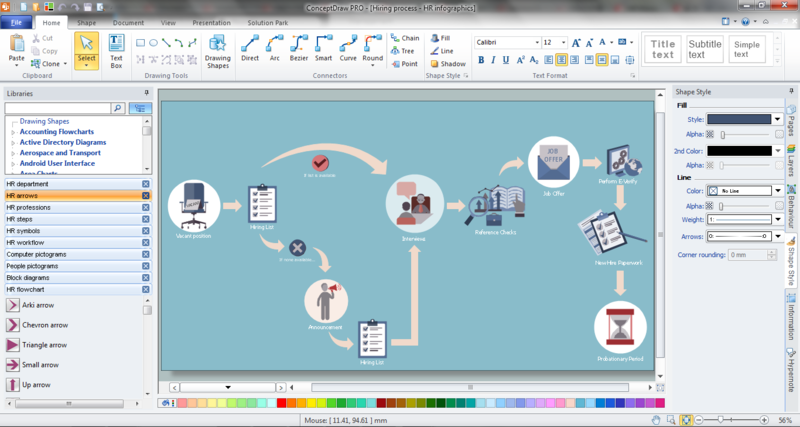 ConceptDraw DIAGRAM v12 is a powerful diagramming and vector drawing software. Now, thanks to the new HR Flowcharts Solution from the Management Area of ConceptDraw Solution Park, it become also ideal for designing HR Flowcharts and visually displaying the hiring process steps.